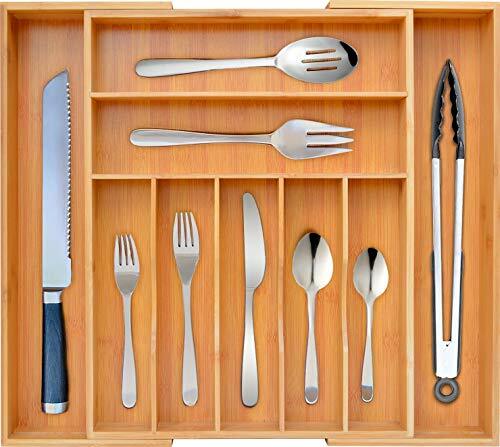 Keep all your kitchen utensils and silverware in order with Organic Bamboo Drawer Organizer! When we have a lot of things to keep attention at while cooking - it's important to have everything we need in one place. To make sure all-time favorite things are in plain sight, get yourself a kitchen drawer organizer. Key benefits of Royal Craft Wood Utensil Holder: Extendable cutlery tray with adjustable sides; 9 compartments of various sizes; Silverware tray with reinforced base; Easy to clean and maintain; Eco-friendly and beneficial for your health; Stylish design that fits every room. An extendable organizer with adjustable sizes Royal Craft Wood utensil holder is easy to fit in every drawer. To make everything look perfectly, adjust the sizes of an organizer as you like. 9 compartments of various sizes This kitchen utensil holder is created with an extra compartment to store all your flatware at a hand's reach. Easy to clean and maintain Obviously, you want your drawer to look as good as new for as long as possible. Taking care of the silverware organizer takes 5 minutes of your time - you can do as much as wipe it with damp cloth. 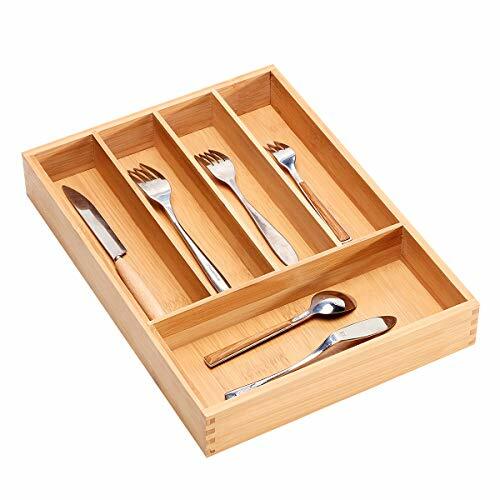 Eco-friendly and beneficial for your health Royal Craft Wood kitchen drawer organizer is produced from organic bamboo trees. The fibers of the tree are not only 100% organic but have an antibacterial effect as well which is good for your utensils. Stylish design that fits every room Regardless of whether you plan to put the kitchen utensil organizer in a living room, a bedroom, or a kitchen, the result will be magnificent. A solid wooden texture will make for a beautiful piece of decor you can help but fall in love with! EXTENDABLE KITCHEN DRAWER ORGANIZER. Royal Craft Wood silverware organizer can be placed in the drawers of all sizes - it is adjustable so that fits like a glove. REINFORCED BASE AND DEEP COMPARTMENTS ensure durability of flatware drawer organizer and extra space for kitchen utensils. Use every slot in the most efficient way - everything you need at a hand's reach. EASY TO CLEAN CUTLERY TRAY. Keeping kitchen utensil holder as good as new is easy - cleaning it with damp cloth is absolutely enough. USA Standard Size The cutlery tray fits most of standard flatware silverware drawer organizer in USA, tray size:14"L*10-1/4"W*2"H, a nice organizer in kitchen and office. 5 Compartments 5 fixed compartments, available mainly in kitchen for utensils, forks, spoons, knives, and gadgets organization, also available in office and bathroom for stationery makeup and jewelry storage. Natural Bamboo made of eco-friendly bamboo durable and solid, non-toxic, no falling apart or noxious chemicals, rust and mold resistant. Mortise and tenon con-nection each pieces of this small flatware organizer is mortise and tenon connected, solid and beautiful. It is the biggest difference between our products and others. Easy Care wipe it with damp cloth, then dry thoroughly to extend life of item. Never put it into dishwasher. Wasted space is a thing of the past. 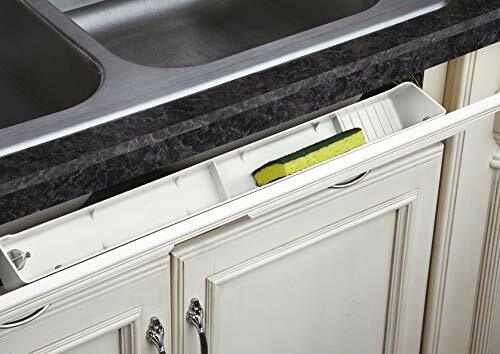 The addition of our economical deluxe molded sink front trays. 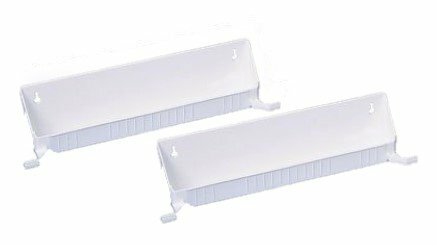 The three custom widths 22 , 24 and 30-1/2 are available in white or almond and come in packs of two with mounting hardware. 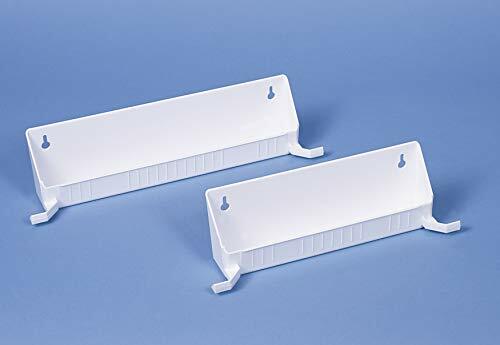 (1) Tray, (2) pair of 45 degree hinges. . Can be used in either kitchen or bathroom applications. 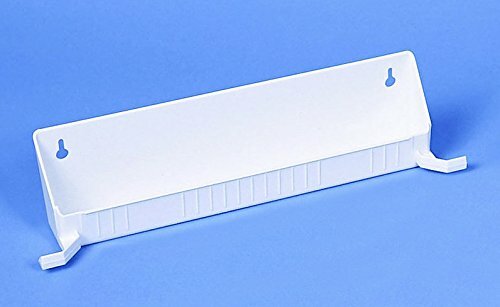 Patented 45 hinges (US Patent 7, 635, 171). . . .
11" White Sink front tray. 14" White Sink front tray. Add a little luxury to otherwise wasted space with a stainless steel tip-out tray. 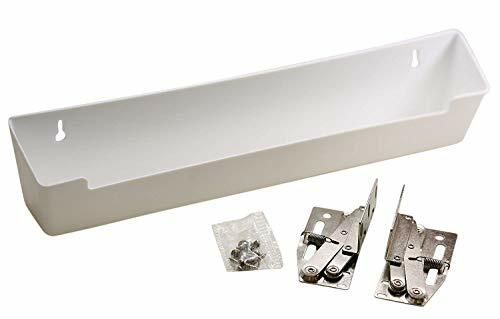 Perfect for kitchen or bathroom installations.Cabinet OrganizerColor: SilverMaterial: Stainless Steel2-1/8 inches deepIncludes: One(1) tray and hingesDimensions: 10 inches wide x 2.125 inches deep x 3 inches highAssembly required. 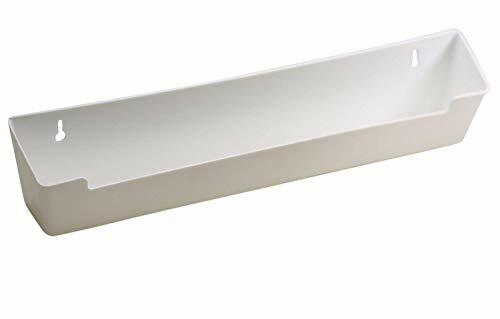 Rev-A-Shelf 6581 tip out tray set is contemporary, durable and functional. Ras 6581 features a sleek design with smooth, folded over edges and protective coating to eliminate sharp areas. 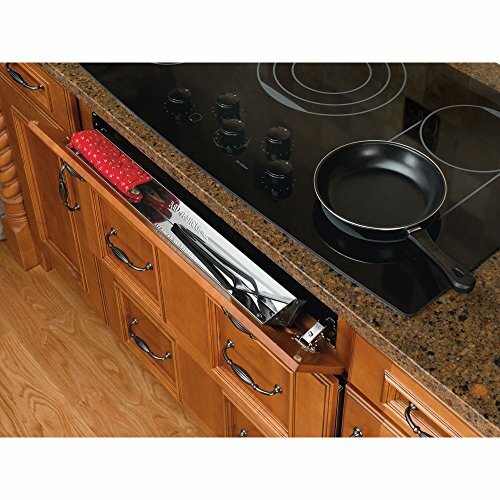 Rev-A-Shelf 6581 sink front is a 14" standard tip-out tray. 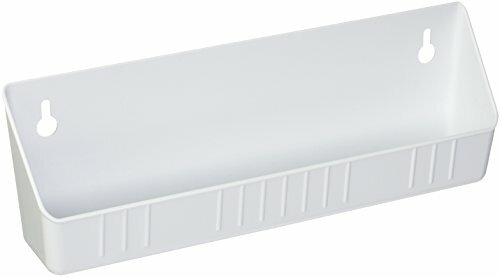 The white tray has a 14" length, 4" height and 2-1/8" deep. 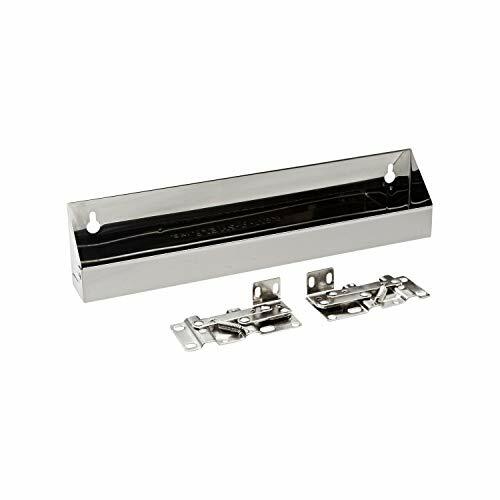 Contemporary and convenient, the stainless steel tip-out tray features a white protective coating to eliminate sharp areas. The sleek design has smooth, folded over edges. 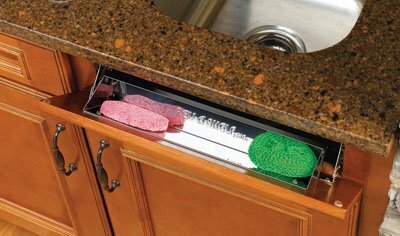 When installing the tip out tray, a minimum cabinet opening is 14-3/8" width x 2-3/8" depth x 3-1/8" height. Hinges are sold separately. Made by a professinal bamboo products manufacturer since 1993 in China.Quality and design are guaranteed. You can store whatever you want, even pencils, pens, Organize tools, nails etc. earth-friendly tough,5 compartments without any glue non toxic and chemicals. The bottom/base is made of MDF for longer use. If you are not 100% happy with our product we will be happy to refund100%of your money back! (2) White trays and mounting hardware. . Tab design allows you to use standard hinges. High resistant tabs prevent easy breaking. . . .